Are you bored with your current look? 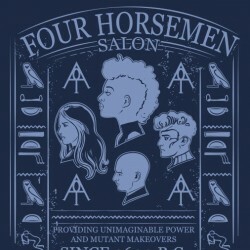 Do you find your mutant powers to be powerful but not QUITE powerful enough? 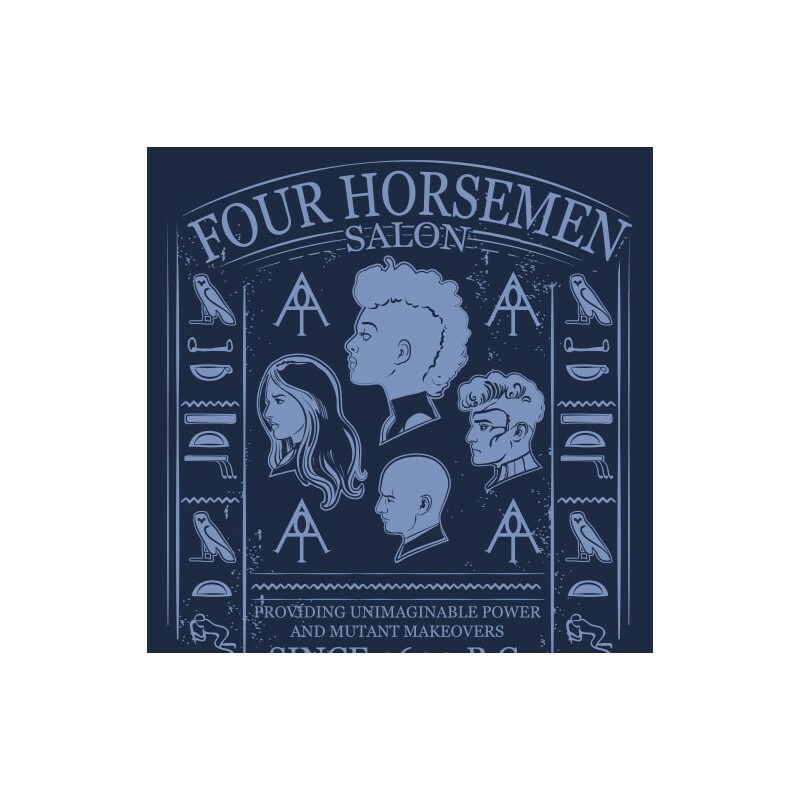 Come on down to the Four Horsemen Salon! 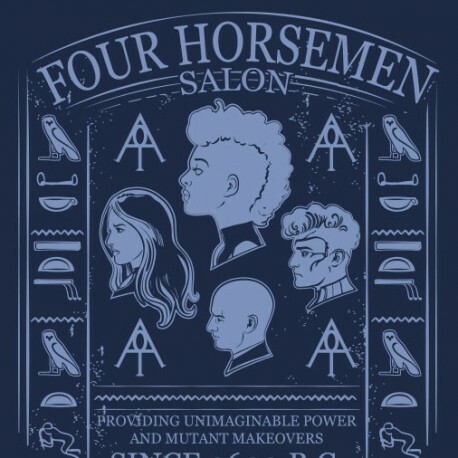 Whether you want a stylin' mohawk, unnecessary face tattoos or the power to destroy the world with the wave of your hand, we've got you covered. Satisfaction guaranteed or we WILL merge you with a wall! 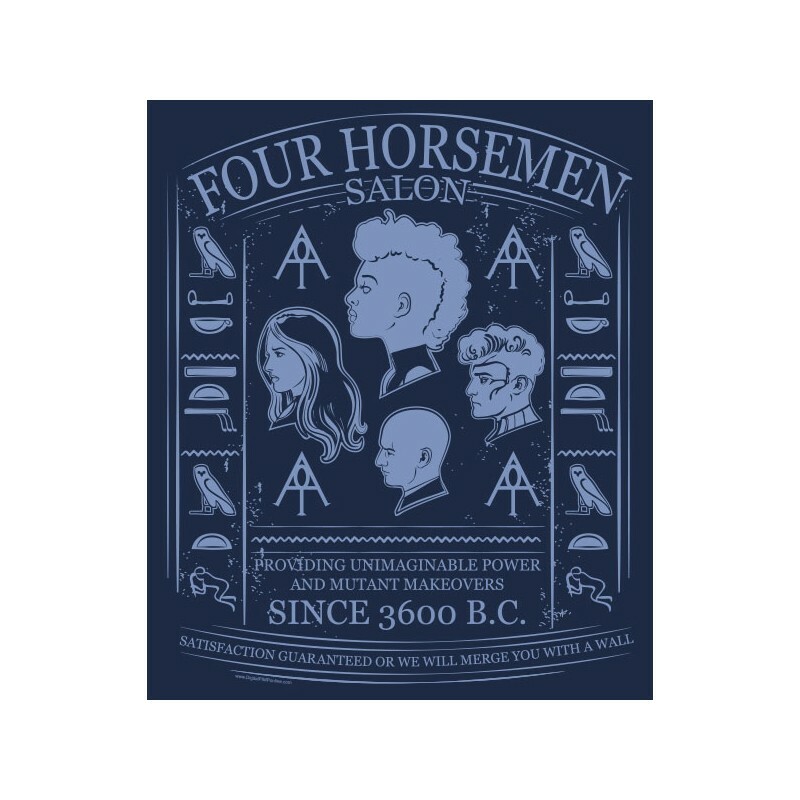 Celebrate the Four Hairstyles of the Apocalypse with this exclusive shirt.